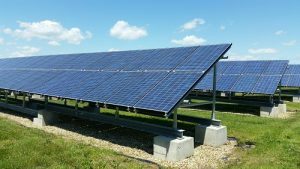 Solar Power News & DIY Solar Tips > Backup Power > Ask the altE Experts: What’s Next for Renewable Energy? One question we often hear at altE is, “What’s next for renewable energy?” And while it’s impossible to predict the future, I thought it would be interesting to check in with my colleagues at altE for their thoughts on the near-term future of renewable energy. The consensus from the altE team is that it’s an exciting time for renewable energy. The pace of innovation is accelerating and prices of system components are falling—making renewable energy systems a financial possibility for all types of consumers. According to the Bloomberg New Energy Outlook, “Renewable energy sources are set to represent almost three quarters of the $10.2 trillion the world will invest in new power generating technology until 2040.” With all of that capital flowing into renewable energy, the pace of innovation doesn’t appear to be slowing anytime soon (a good thing for consumers!). But how will all of that investment impact renewable energy consumers? With that question in mind, I turned to the renewable and solar experts at altE for their take on the future of renewables. I spoke with everyone from technical system designers, to those with knowledge of the product landscape, to the altE CEO. A few themes emerged, driven by both advancing technologies and climate change. Here’s what I found. Whether it is due to climate change or advances in technology—or a combination of both—2018 may be the year residential energy storage goes mainstream. There is tremendous interest in saltwater batteries for solar systems. We see this in both customer inquiries, and in altE marketing data. The appeal of saltwater batteries is they are environmentally friendly and nearly maintenance free. 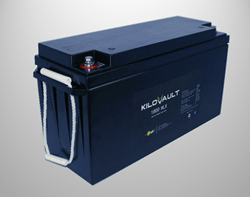 The long term viability of saltwater battery technology remains unclear. But as saltwater battery technology and reliability advances, and new entrants to the global market appear—particularly from China and Europe—it’s likely availability will increase and prices will fall. Ever since import tariffs on foreign-manufactured solar panels went into effect in the U.S., we’ve been fielding lots of questions about what this means for the U.S. solar panel market. The short answer is, probably not much. We expect solar panel prices to hold in their current bandwidth as long as there are no additional tariffs or political interventions in the solar panel marketplace—something that is, obviously, difficult to predict. Increasing frequency and intensity of storms around the world is causing many to rethink how reliant they are on the electric grid. “Along those same lines of having power wherever and whenever you need it, we are seeing an uptick in demand on portable systems—especially in remote areas where the grid is unstable,” Andrea pointed out. The global extreme weather of 2017 laid bare the fact that people may have to rely on themselves for power generation for extended periods of time after a storm. Advances in battery technology are making powerful mobile power units more affordable than ever. These are a few of the major themes we’ve seen so far in 2018. What are your thoughts? Feel free to leave any comments or questions in the comments section below.